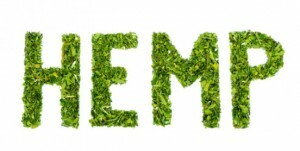 Hemp is derived from the cannabis plant and comes from the same species as marijuana. The main difference between hemp and marijuana is that marijuana contains from .5 to 30% tetrahydrocannabinol, or THC. THC is the property which gives marijuana its psychoactive properties, producing the stoned or high feeling. For a plant to be considered hemp it must contain less than .3% THC. Hemp contains hundreds of natural pain relief properties. Like most holistic and alternative healthcare practices, hemp targets the cause of the pain – inflammation – and works to reduce it rather than just blocking the pain. Modern day conventional medicine, such as non-steroidal anti-inflammatory drugs (NSAIDs) and prescription narcotics, work by blocking COX1 and COX2 enzymes in the brain to relieve the pain. Hemp has ideal properties for reducing inflammation, which is key in reducing pain. Hemp is helpful in reducing inflammation in conditions where the inflammation is either acute or chronic. Acute inflammation is the normal healing response of the body responding to an injury, infection, or allergic reaction. Acute inflammation is recognized by its classic symptoms: swelling, redness, loss of mobility, and pain. Chronic inflammation is the result of inflammatory disorders. Most of these disorders are a result of a compromised immune system and can impact the quality of life and sometimes longevity as well. Whether you are nursing a broken toe or managing the pain and discomfort from an auto-immune disorder, hemp can provide healing nutrients and valuable cannabinoids which work on the cellular level to reduce pain and inflammation. • Arthritis – Hemp relieves pain and promotes better sleep. • Autoimmune diseases – Inflammation is the cause of illness such as lupus, fibromyalgia, and vasculitis, making these disorders responsive to hemp treatment. • Chronic pain – Hemp works at the cellular level to relieve chronic pain in the neck, shoulders and back. • IBS or Crohn’s Disease – Cannabis helps with pain and digestion. • Migraines – Cannabinoids found in cannabis and hemp can contribute to reducing the inflammation which causes the pain of migraines. • Multiple Sclerosis – In addition to relieving pain associated with MS, hemp may also reduce muscle spasms. The entire hemp plant can be used for nutritional or medicinal purposes. • Topical. Topically, hemp is used in lotions, oils, serums and balms. It is used for anything from chapped lips to joint pain caused by arthritis. It has a pleasant nutty odor and provides instant relief when applied, but also works on the cellular level. Through the C1 and C2 receptors, a signal is sent through the DNA to turn off the protein that is producing the acid which causes pain and inflammation. Topical hemp is derived from root serum and the oil of hemp seeds. • Ingested. Hemp root is commonly mixed into teas, powders, and tinctures. Hemp seeds can be also toasted or eaten raw. Hemp oil is often derived from hemp seed and can be used in dressings and dips. Excessive use of hemp oil for cooking should be avoided as it can cause digestive and absorption issues. The nutrition of consumed hemp is important since it guards against many of the condition that eventually lead to pain and inflammation. Hemp treatments are a natural companion to other holistic treatments to alleviate pain. Besides sharing a history dating back thousands of years with such disciplines as yoga, hypnosis, acupuncture, chiropractic, and massage therapy, hemp also offers relief with minimal adverse side-effects. Acupuncture, in particular, works very well when combined with topical hemp. The medicinal use of hemp and acupuncture both date back over 6000 years and originate in ancient China. They function very similarly at the cellular level to relieve pain and inflammation, while acupuncture additionally works to align the meridians. Both healing methods gained recognition throughout the centuries, but suffered legality issues in the 1930s. Today, they are both recognized by the medical and alternative medical community for their benefits. Chiropractors and massage therapist appreciate the healing quality of hemp products and how hemp oils blend well with other healing essential oils. The cellular action of hemp enhances both chiropractic and massage therapy treatments. Holistic hemp treatments are chosen by many over traditional pain relief option because of the minimal risk of side effects. Those already on medications to prevent blood-clotting, however, should avoid ingesting hemp in any form. Of course, any questions regarding using hemp with other drugs should be addressed with your healthcare professional.